Diageo’s Johnnie Walker range added a Platinum Label to its pantheon of blended scotches in 2013, kicking against the goad of the NAS trend by including an 18 year-old age statement on the label. 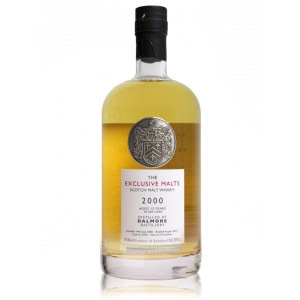 The blend contains whisky from 20 to 25 distilleries (likely most of them owned by Diageo) and is advertised as having a predominantly Speyside character with some hints of Islay peat. 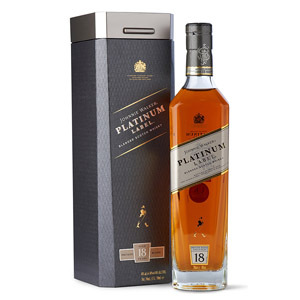 The cynics among you will notice that Diageo removed an 18 year-old product from the market (the old Gold Label), replacing THAT with an NAS blend, and then released a more expensive-sounding Platinum bottling at the same age, with a higher price tag. Crafty, Diageo. Crafty. They are, however, different blends with different goals. (Gold 18 was sweet and fruity, Platinum is dryer, more perfumed, and smokier.) Apparently, Diageo expects you to give Platinum as a gift, since it’s more “special” than Black, Green, or Gold, and not stratospheric in price like Blue. I don’t know about you, but I’ve never received an $80 bottle of whisky as a gift (except from my parents, who know to ask me what I want first! ), but I have no doubt that Diageo would like you to start doling out Platinum to your friends, family, and colleagues. As usual with Diageo and the whisky industry at large, there’s plenty little information about the actual makeup of Platinum. 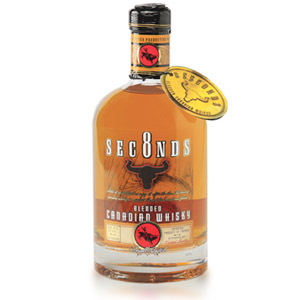 It’s bottled at a watery smooth 80 proof (40% ABV), the legal minimum, and consists of a blend of grain and malt scotch whiskies that are each at least 18 years of age. That’s… yep, that’s it. It’s probably got a bunch of Caol Ila in it, some Clynelish, and… your guess is as good as mine. Nose: Gently perfumed, apple blossoms, white tea, ginger, juicy pears, and an undercurrent of fresh banana. This smells more like a carefully-crafted perfume than a scotch whisky. The effect is light, with no nose tickle and only very faint oak or malt notes. One could be forgiven for thinking this was a pear eau de vie by the aroma alone. After a rest in the glass, most of those volatile aromas escape, leaving a heavy banana custard note. Palate: Medium bodied, almost syrupy. Slight tongue burn. A bit of bitter barrel char arrives upfront, which is off-putting. The banana reasserts itself, along with assorted fruit notes. The oaky bitterness persists. There are some flavors of bakery sweets – banana cream pie comes to mind, as do buttered scones. The whole is marred by that weird tannic charry bitter note, however. Finish: Short. Charcoal, apple skins, and a fading nutty bitterness, like scorched almonds. There is a marzipan note on the tail end of the finish. Overall: I expected a bit more surface-level quality from a premium Diageo product – usually their whiskies (especially those with age statements) are more polished than this, and simply lack depth or complexity. Instead, this tastes like the kind of leftover barrel of no-name malt that the independent bottlers pass over and which ends up in a grocery store label bottling. In fact, the grain whisky in this blend is (I suspect) what elevates it, giving it that syrupy body and some of the lighter fruit-and-flowers notes. It wasn’t until after the fact (I taste whiskies before reading about them, when possible) that I realized all that bitter charcoal was actually supposed to be smoky Islay peat, which appears to have been lost in translation. I will admit that the whisky has a delicate aroma with an excellent perfumed balance of fruits and flowers, and I could certainly pass the time just smelling this whisky. I just didn’t enjoy anything that came after. I would be disappointed to taste this after laying down $80 or more for a bottle. If you’re curious about the Johnnie Walker range, try it at a bar. Despite being a Diageo shareholder as a result of following the old adage that one should invest in things they know, I am not a fan of the Johnnie Walker brand. I doubt too many of the malt connoisseurs that follow this fine website are fans either. JW appeals to those who succumb to advertising and perceived quality. The only expression in the range I seek out is the Green Label – I do believe that’s the one JW offering that offers comparable quality to the price. Of course, that’s also the one the average scotch drinker knows the least about. 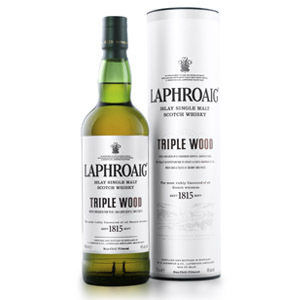 I had a dram of Green in NYC recently to which the bartender responded, “No one ever orders the Green.” Back to the task at hand, Platinum is far from a bad whisky, describing it as Speyside with a hint of Islay is a fair description. Love the age statement, of course (the only viable piece of information available to us). Alas, the $100 price tag cannot at all justify the contents. Maybe $25 of that amount goes toward the over-the-top, ostentatious, and environmentally unfriendly packaging that attempts to fool the gullible consumer into thinking the contents are of higher quality than reality can support. I suggest you compare that to the black & white no frills tube of Kilkerran 12, which encases about the best scotch whisky for the price to be found. Conclusion: Diageo stock price be damned, JW Platinum is nothing more than a cash grab slap-in-the-face to us Scotch Noobs. Like most, Black was my introduction to Scotch. However, I don’t find Black nearly as appetizing as I once did. I really enjoyed the “old” Gold and still have a bottle, yet to be opened as of this moment. Thought it was way better than Blue. I do enjoy the Rye Cask finish and Double Black as well. Yet, with JW there is a theme in its Scotch and that is it always seems to come off a little thin. That isn’t necessarily a bad thing but the taste is never ‘forward’ or overly dynamic. 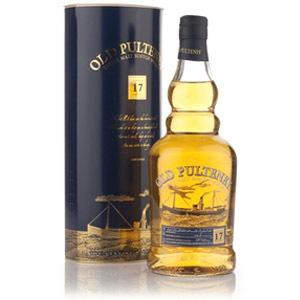 Rather, it comes off approachable and seems to be blended for the masses as a safe scotch. It’s a great go-to gift when in doubt. And, if you know next to nothing about Scotch, if you bought a bottle of Blue as a gift, you know you weren’t going wrong. In my house, I keep two bottles of some kind of JW around because I know people will drink it rather than try one of the other names on the shelf they have never heard of – afraid they may not really like it and feel as if they are wasting money. In this regard, JW isn’t bad. And since they know the market is there, they can charge 90 dollars for a bottle that probably shouldn’t be priced more than 50 or 60 dollars. I picked up the 4x200ml JW gift pack so I could sample the blue label, platinum and gold reserve without paying up for the full bottles or paying almost as much for a glass of blue label at a bar as the gift pack cost in total. I still haven’t tasted any of them yet (except the included black label, which I keep around for an occasional fairly cheap scotch pour), but I just had to scratch the itch to be able to taste them for myself since everyone’s palate is different. I’m sure I will also conclude that they aren’t worth the price, but at least I will have confirmed that for myself without spending too much $$$. I’m a big believer in trying everything you can. As you said – everyone’s palate is different and you might find a new favorite. If nothing else, it gives you a point of reference when trying other whiskies. Cheers! Sitting on a bottle right now that I obtained on sale for $75 the other day. I still haven’t tasted it but was always a fan of the old Gold label. I need to just go ahead and bust it open to see if it was worth it. Thanks for the great review Noob! In New Jersey, I saw on sale a 1.75L of JW Platinum for $120 plus tax. That might be a fair price for it, but in some ‘controlled’ states, unfortunately, the 1.75L size Platinum Label isn’t distributed. Your review makes it sound like someone made a rather expensive blended scotch whisky without ever actually tasting the stuff. Jason Debly pointed out that distillers/blenders will spend millions developing the nose on a whisky (and Debly credits the now-defunct JW Gold Label 18 year-old as the finest nosing scotch he’s ever had). But I’ll bet it would surprise all of us to learn that our favorite whiskies are created almost entirely by the master distiller/blender’s olfactory organ. I’ll bet Jim Beveridge of Johnnie Walker seldom ever actually tastes his products.